Is R Aurigae developing a hump? I have the impression that R Aur is very probably developing a new hump. 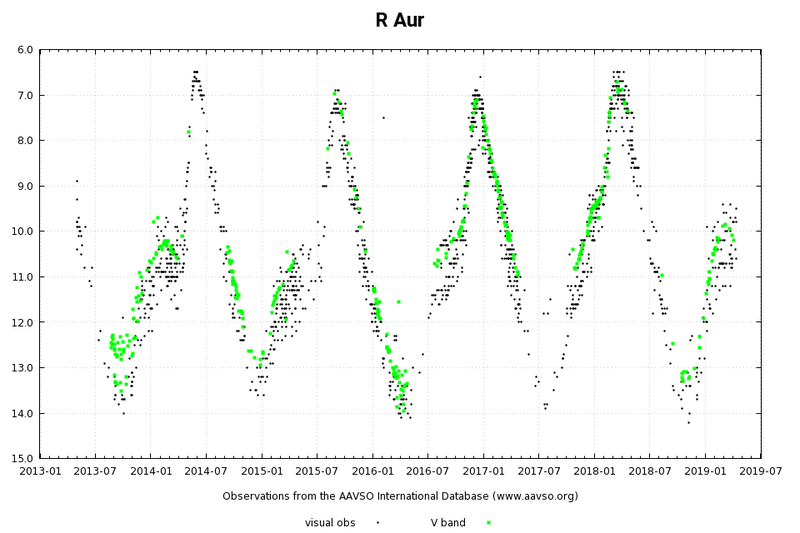 Observations submitted in the last weeks, particularly photometry with the V filter, show an incipient but very clear "faint" maximum during the current raising phase (link). This potential new hump is a bit brighter but otherwise rather similar to one observed in 2014 (See attached plot below). We will have to wait (and observe) to see what will happen.